The 2016 farm cash receipts for the District (City of Sudbury and Greater Sudbury) totalled $14.5 million, with $4 million in potato production. Based on the 2016 Census, there were 262 farms – within Sudbury these farms are concentrated in livestock and hay/grain production, while within Greater Sudbury, these farms are concentrated in potato production. Sudbury is also home to the Massey Agricultural Fall Fair, one of the largest agricultural fairs in Northern Ontario. From May-October 2016, the District experienced an average of 392 mm of precipitation, 1,734 growing degree days and 2,734 crop heat units. The south of the District lies in climate zone F with an average growing season of 183 days. This zone transitions to G, H & I further north in the district, with an average growing season of 162 days. 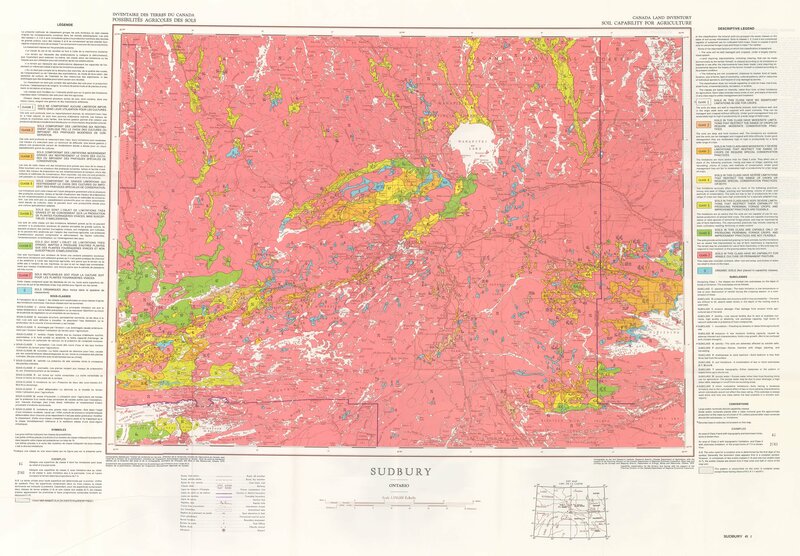 Sudbury lies within plant hardiness zone 4a & 3b. 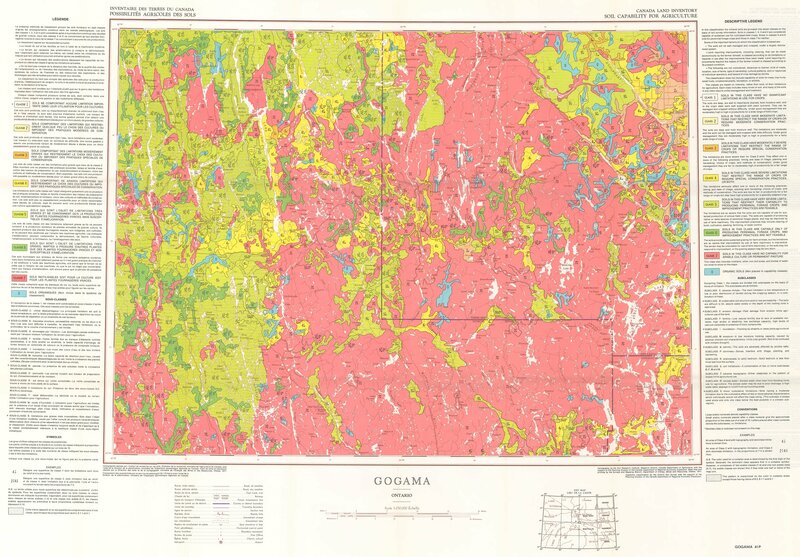 Soils are typically shallow, stony podzols and have historically been highly acidic and require agricultural lime and tile drainage to be productive.